Well hello to you my reader chums! 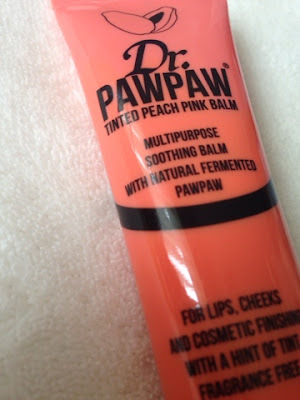 Today I wanted to share with you a review of this beauty product I've been loving recently, Dr Pawpaw's multipurpose balm. Initially I got sent the original balm and whilst attending Catalyst's event, I received the tinted peach balm. I've heard many amazing reviews on these products and was therefore very intrigued and excited to give them a go! As you can tell by the images, one is a sample size and the other is the medium size tube. Size- I've been using the sample size original balm every night before bed for several weeks now and there is still a lot of product left. Even though it's only a small tube, a little goes a very long way I can assure you, meaning only a minimal amount is needed. 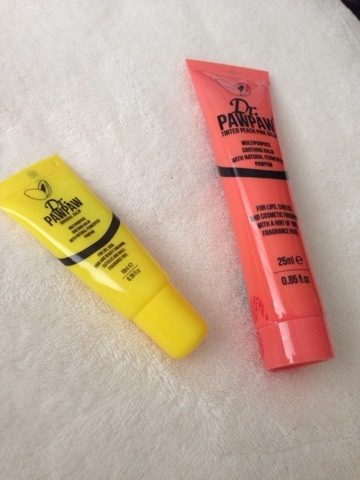 The pink balm is over double the size of the sample tube and after using it a few times, I've barely made a dent. As these tubes are quite thin and compact as well as long lasting, they are rather travel friendly. This means I can easily pop them in my bag to bring on the go. Consistency- My top feature of these balms is the consistency because when applied it feels very luxurious on the lips, an aspect you wouldn't expect. They can be used for all over the body including lips, skin, hair, nails etc making it a very versatile product. I have to admit I've mainly been using the balms on my lips as I think it's the perfect purpose for them. I like to apply the original balm before bed because it leaves your lips feeling ultra soft and moisturised. As the consistency is rather thick when blended in, only a small amount is needed, saving product and lasting a long time. 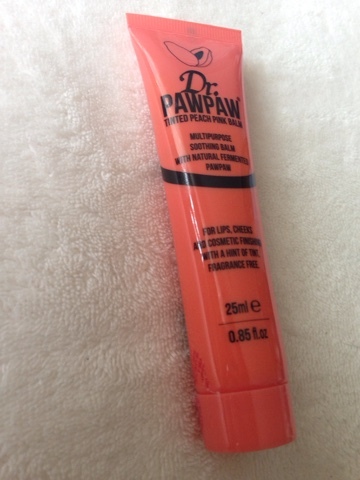 I've found that after leaving it on all night when I slept, I would wake up with my lips feeling smooth and soft, a great way to wake up really! I love how it isn't sticky on the lips as well as there's nothing worse than a sticky lip product. I simply adore the moisturising capability of this balm. Colour- I have two of the three colours available, the original and peach pink tinted balm, you can also purchase a red tinted option, The original one is simply clear when applied to the lips and gives a lovely sheen/glossy look. 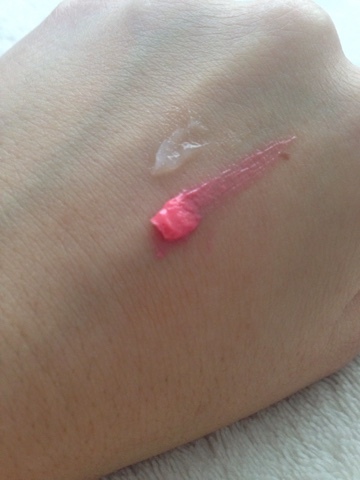 The peachy pink balm also consists of this glossy look but with a gorgeous pretty pink wash of colour. It's not the most definite pink, however it's subtle enough to wear as part of an everyday, natural makeup. Scent- Both of the balms are fragrance free which is an element I like because to me it makes them feel more natural. As it's not perfumed, when applied even thought the consistency is thick, it isn't weighed down by an overwhelming smell. 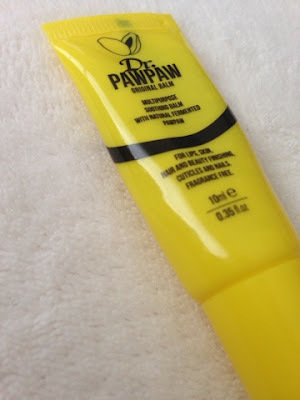 Original balm - Designed for lips, skin, hair/beauty finishings, cuticles and nails, the multi purpose soothing balm is a great little gizmo to have to moisturise all different dry areas. Overall I'd say I truly love this product and have found myself reaching for it when my lips are feeling dry as I can trust it to do the job. The balm has definitely become one of my holy grail products! Tinted peach pink balm - Created for lips, cheeks and cosmetic finishings, the peach pink balm is more of a choice for that subtle hint of colour. 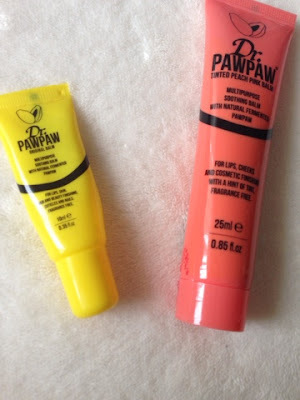 With the same moisturising level as the original balm, the tint adds something fun and special to the product. I love this balm a lot also, which I prefer to use this in the day and the other at night. I hope you enjoyed this review. Have any of you tried this product?